أحلا. I want to start teaching/ tutoring in online classes. There are two classes that I would like to teach/tutor: English grammar/ how to write academic essays in English, and beginner’s Arabic. It would be about $5-$10 for a class on Iteachi. I will be graduating in May of 2016, so it would be nice to get some practice in and a little pocket money on the side. If you know anyone who would be interested in either of these classes, please let me know. It would be a one on one class, unless they had a friend that wants to take it with them. It would be a buy one-get one 1/2 off deal. I love writing essays, and I always help the international students at my school. I really enjoy seeing people improve their language skills. I’ve always liked to write. I especially liked learning HOW to write an essay, and I think that I could make it enjoyable for others, too. Also, I am in love with the Arab culture and language. Of course, I also love Islam and being able to read the Quran (even though it is far far from perfect). I think that more people need to learn Arabic with everything that is happening in the world. How can you just trust the news for information about a huge group of very diverse people? The Arab language is so beautiful; I want to help people at least learn to read, speak, and write it. Even if a person doesn’t speak it fluently, he could translate and decipher articles about a subject from an Arab point of view. Any suggestions would be immensely helpful. If you know anyone that may be interested, let me know! I don’t understand why people have to work so hard to make such a small amount of money. I am honestly sick of working. I know the world can’t be full of rainbows and soft pillows, but I know that I would make more money AND love going to work if I actually enjoyed what I do. I wish everyone could enjoy making a living. Maybe, when I finish college, I’ll finally enjoy what I do. I’ll be teaching international students English, first in America, then maybe in Bahrain. I’m just dying of boredom until then. I LOTHE working. Oh well. What do you do? Do you actually enjoy your job? Or, how do you make your job enjoyable?? Please let me know!! I think I may start a YouTube channel. What do you guys think? Also, what should I talk about or do? This is the MOST important!!! You can’t fluently learn a language if it is just a fleeting thought to you. You have to be interested on a deep enough level that you will continue to practice it, even just online by yourself. I was going to college in a pretty small town, but luckily, there was a small percentage of Arabs there that I started to befriend and become close with. If you can connect with native speakers (even online), it will help you by: 1. getting excited about speaking the language with a native speaker, 2. It will give you practice, practice, and more PRACTICE!! and 3. You will have a deeper understanding of where the language comes from, and you will see and enjoy the culture with it (which will feed your hunger for learning the language)! Georgia Southern University has about 20,000 students. When I first wanted to learn the language, the international program at the college was just starting to grow. I started to take Arabic 1001, and I have continued throughout my college career. Now, we have a study abroad trip to Morocco. In addition, my teacher is AMAZING. The Arabic classes really are helping, but honestly, I’ve learned most of my vocabulary by just practicing. There are a lot of ways you can practice a language, and you can choose the best method to satiate your needs. You can read the news (or anything) in that language. In the beginning, you may have to translate a lot, but you will start remembering word after word, and you’ll get pretty excited when you are able to read an article and explain it to your friends and family. For me, it was just talking with native speakers. I can finally hold my own in a conversation, and you have no idea how amazing that feels. All of my efforts have paid off immensely. Don’t worry if you get discouraged one day. Take a day or two off, or MORE if you need it. (I surely did!) Relax. When you’re ready, pick it back up again and start trying. You WILL get there, and faster than you think! It’s really not that hard as long as you TRY. It truly depends on how much effort you put into learning. On another note, I said that I practice mostly by talking with native speakers. However, I just started my first Arabic novel today (Eeek!). I have spent a WHILE just trying to translate the first page. I’m using a few different methods to see what works best for me. I’ll update on what happens. If you have any questions, comments, or advice on learning a language, please share! I would love to get your insights if you are also learning a language. 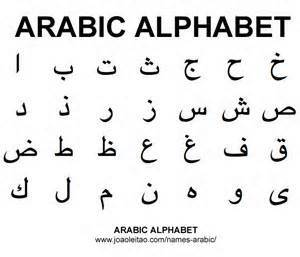 Anyone up for learning the basics of Arabic? I would love to teach someone. Should I start a blog on the basics of Arabic? Please answer in the comments.